Researchers from various UNE schools contribute to regular school-based seminars relating to nineteenth-century studies. From time-to-time, our seminars are presented by external guest researchers. It is over 30 years since Neil McKendrick suggested that historians should pay more attention to the ‘hordes of little men who helped to boost the demand side’ of the economy during the Industrial Revolution by ‘satisfying a new consumer market of unprecedented size’. 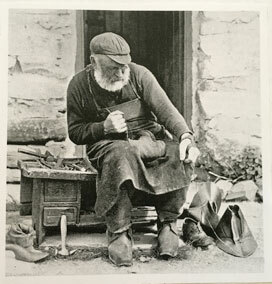 While the consumer revolution announced by McKendrick has been explored in various ways we still know very little about the business world of the small retailer, artisan and craftsman. Scattered through the county record offices of England and Wales is a body of material, as yet unrecognised and unexploited, which offers a limited but useful addition to the sources for the history of small business in the early nineteenth century. It consists of documents generated by the workings of the Insolvent Debtors Courts and the business records surrendered into court in accordance with the terms of the various Acts for the Relief of Insolvent Debtors and focuses attention on some aspects of working-class business practice. David Kent — MA (Camb), M Ed. (Edin) — is an adjunct professor of history in the School of Humanities, Arts and Social Sciences at the University of New England. He joined the History Department in 1976. Teaching chiefly British social history (1650-1850), he also taught early-modern European history and historical methodology. He has published on a wide variety of themes in British and Australian social history and always followed his preference for ‘history from below’. By January 1802 the philosopher Jeremy Bentham (1748–1832) had more or less come to accept that his attempt to persuade the British government to build his panopticon prison, on which he had spent an enormous amount of time and effort, was doomed. After a decade of lobbying, beset by impasses and delays, Bentham believed himself the victim of the machinations of government ministers and their underlings who had set aside the will of parliament. He was particularly exercised that the panopticon scheme was abandoned in preference for transporting criminals to New South Wales, a punishment which Bentham had long believed to be unjust, expensive and corrosive. One of Bentham’s responses was to draft ‘A Picture of the Treasury’, a history of the government’s dealings with him over the panopticon. This paper examines how Bentham threatened to expose the appalling reality of life in New South Wales and how he positioned transportation to the colony as a violation of justice and the constitution, in order to salvage his dying panopticon scheme. Tim Causer is a Senior Research Associate at the Bentham Project in UCL’s Faculty of Laws, where he is working on Bentham’s writings on transportation and colonialism for the AHRC-funded project, Convict Australia and Utilitarianism: Jeremy Bentham’s Writings on Australia. He is currently working a critical edition of The Collected Works of Jeremy Bentham, to be published in 2020. Tim was previously the co-ordinator of the award-winning crowdsourced transcription initiative, Transcribe Bentham, and worked on the EU-funded tranScriptorium programme, which developed solutions for the searching, indexing, and full transcription by computers of historic handwritten manuscripts. He carried out his PhD research on the Norfolk Island penal settlement (1825–55) at the Menzies Centre for Australian Studies, King’s College London. His most recent publication is an edition of the earliest Australian convict narrative, Memorandoms by James Martin, the manuscript of which is among UCL’s Bentham Papers. The Oxford English Dictionary (2015) records the nineteenth century as the period in which the highest number of vocabulary items entered the English language with over 75,000 entries. This far exceeds any other century in records dating back to AD 1000 and reinforces the notion that the nineteenth century was indeed a great time of discovery, innovation and invention, which created the need for a vast amount of new terminology to be introduced into the English language. Most of these neologisms belong to specialist scientific vocabulary, but many do not and have become familiar to the layperson over time, thereby passing into general use as a part of our everyday English vocabulary. This talk explores the world of 19th-century botany and takes a look at some of the words that entered the English language during the 1800s. It will consider briefly the work of some of the 19th-century explorer-naturalists and the plants and tree seeds they brought back - all of which had to be named. It also provides a snapshot of life in the Victorian period in Britain, which allowed the enthusiasm for botany to thrive. This paper re-examines the well-known but poorly-understood subject of corporal punishment in colonial New South Wales, focussing on the Macquarie era. Accounts of convict flogging have tended towards two misleading extremes: an anachronistic focus on brutal excesses; or revisionist efforts to downplay and normalise this other ‘peculiar institution’. Disciplinary violence was common and uncontroversial in eighteenth-century Britain, and its widespread use in a British convict colony was unsurprising. But convict corporal punishment was also highly distinctive: neither public nor private, measured yet excessive, stigmatising yet remedial. 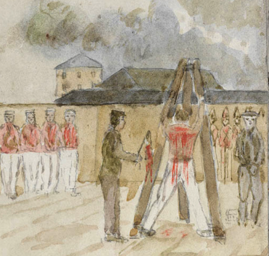 Using data drawn from the largest surviving set of summary punishment records, I will illustrate how and why flogging was so widely used, and what it meant to both the colonial authorities and the subjects of their punitive discipline. This paper will argue that the politics and poetics of identity formation, which most critics have agreed is thematically and formally central to Dickens’s Great Expectations, cannot be fully understood without considering the alignments, symbolic networks and economy of signs that are mapped upon the animal body: human subjectivity, location, class, and economic exchange. From this standpoint, the paper will demonstrate that Dickens’s representation of animal slaughter in the novel, and his decision to make the newly-found wealth of the central protagonist originate in British agri-colonialism (in the New South Wales pastoral industry) underscores historically specific entanglements of animals and capital. The paper will also contend that the novel’s concern with the biopolitical administration of bodies and lives under the aegis of civil society is predicated on a contradictory relationship between the visibility and invisibility of symbolic and economic forms of animal capital. Dr Kim Hajek (University of New England). What is involved in making scientific knowledge about human minds and behaviour? And what role do literary texts or techniques play in this process? In addressing such questions, hypnotism research in France over the last decades of the nineteenth century constitutes a valuable case study. At this time, hypnotism sat at the cutting edge of research into mental and nervous states—both as an object of study in its own right and as a tool of “intellectual vivisection.” The field not only claimed scientific status, but more importantly enjoyed significant legitimacy and cultural authority, unlike so many other times and places in its history. What emerged from hypnotism research would go on to influence the development of neurology, psychoanalysis, and the understanding of aesthetic contemplation, to mention only a few. But enquiry into hypnotism was not only pursued in laboratories, hospitals, and learned societies. It also flourished in the pages of novels and short stories, some written by the very physicians who were active in those self-consciously scientific spaces. In this seminar, I explore the ways literary forms contributed to making knowledge about hypnotism, and what that meant for efforts to fit hypnotism into a scientific frame. Reciprocities between the two approaches enriched the claims of scientific hypnotism, but the price was a certain fluidity in hypnotism’s scientific boundaries. Together, these conditions shed light on the negotiations required to make human mental states the object of scientific study. During the long nineteenth century, there was a wealth of French–language periodicals produced and circulated in London and throughout the United Kingdom. Yet, what was the role of these papers in this largely English-speaking environment? Who were their readers? Were these periodicals solely aimed at the closed circle of the French émigré community? In this talk, I shall tackle these questions and reflect on three fundamental issues: the readership of these papers, their typology and categorization, and their possible role in fostering the idea of a cosmopolitan community. While reflecting on these issues, I shall also inaugurate a comparison between nineteenth-century French-language periodicals published in London (UK) and those published in Sydney (Australia). John O’Keefe’s Castle of Andalusia (1782) and James C. Cross’ short entertainment Purse or Benevolent Tar (1794), both performed by convicts. The controversy which arose in Sydney, and then in Whitehall, about the wisdom of such levity in a penal establishment of last resort, has obscured discussion of the content of these plays, products of the late eighteenth-century London stage, and their performance by the ‘worst of the worst’. 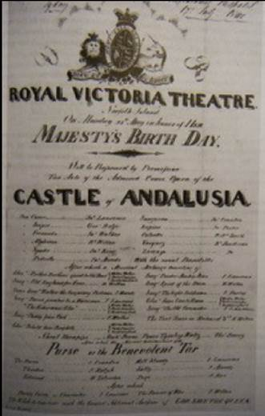 Robert Jordan has discussed them in his account of Convict Theatre, but this paper will go a little further in exploring the two plays and the ironies involved in their Queen’s birthday performance at Norfolk Island. This presentation was the keynote address to the inaugural day long symposium held by UNE's Nineteenth-Century Studies Network, titled 'Windows on the Nineteenth Century'. The reasons for bizarre and unplayable musical instruments in Rossetti’s visual art are not readily attributed to his apparent disinterest in music. Instead, recent scholarship has focused on his perspective on music’s symbolic or metaphorical potential. Nonetheless, a convincing explanation for unrealistic instruments within his paintings remains elusive, particularly his depiction of string instruments. Rossetti’s music symbolism is underscored by a ‘symbolic physiognomy’ – a belief that inner qualities are reflected in outer forms – and that instruments are wilfully distorted to become symbols for other physical objects. With Rossetti, instruments are more than metaphors, they embody the depicted event by relating the musical act to an emotion or action linked to non-musical objects. The Gordon Window is one of the glories of the New England region. Featuring in travel guides, as well as an unofficial emblem of UNE, at first glance it does not seem out of place above the main staircase of the Booloominbah mansion. And yet, the story behind its creation reveals it to be an oddity: a memorial to a problematic public, imperial hero set within a private, domestic space. Like almost every window, it sheds a great deal of light on its physical and metaphorical contexts, but also functions to obscure a good deal. This paper explores these contexts, and questions what its function can reveal about the past, the present, and the future. Historians and writers have long been fascinated with the Moreton Bay penal settlement from 1824 to 1842, trawling the archives for details on every aspect of the harsh physical environment that the convicts endured, from the inadequacy of their food, clothing and medical treatment to the ferocity of the punishments they endured in the iron gangs, at the whipping trees and on the treadmill. This genre of accounts has provided Queensland with a historical narrative that richly and valuably describes the daily lives and the physical surroundings of the convicts but fails to look beyond to examine the invisible forces that equally circumscribed the lives of convicts transported to Moreton Bay. There has also been little attention paid to the convicts and ex-convicts who remained in the district when the penal settlement closed or arrived after free settlement commenced in February 1842. More recent postmodernist approaches concerned with race and gender have discussed the presence of the ‘other’ at Moreton Bay, bringing attention to the intersections between power, sexuality, and racism in writing about Aborigines and various forms of unfree labour, including convicts and coolies. However, the full extent of the presence of female convicts during the free settlement period still remains to be revealed and examined. This paper builds on works by Raymond Evans, Bill Thorpe, Jennifer Harrison, Tamsin O’Connor and others, extending their analyses of convictism, gender, power and sexuality at Moreton Bay to at least one hundred female ex-convicts whose voices are silent in Queensland’s post-1842 historical landscape.